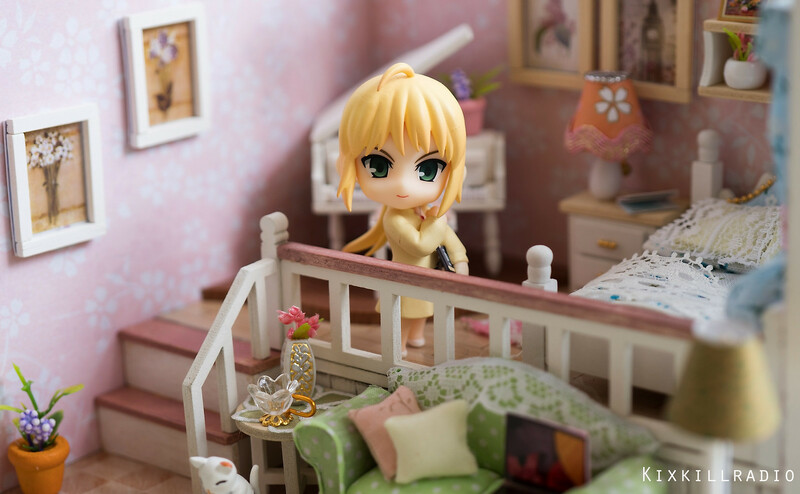 Today’s toy photography, I’m going to share our favorite anime character, Saber and her everyday life in this dollhouse kit which I recently built. 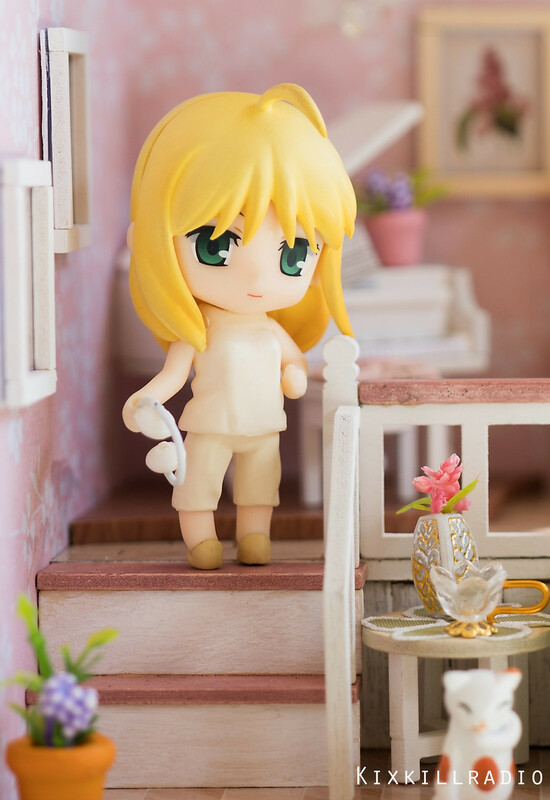 This figure is a Nendoroid Petite also manufactured by Good Smile Company which approximately measures 6.5cm. So it’s a lot smaller than the regular Nendoroid. I’ve been asked by some fans if this dollhouse kit is scaled to Nendoroid Petites, and so today’s post will have your answer. It’s past noon already, wake up! Saber in her girly attire. Doing some homework on how to beat the other heroes? 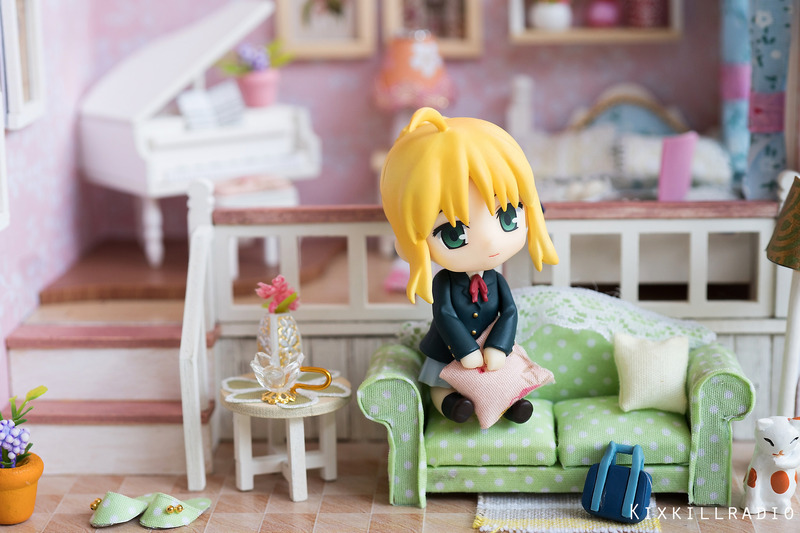 Nendoroid Petite Saber looks comfy in this dollhouse. She can lay down in bed, sit next to it and use the laptop. She can also sit in the little sofa plus. It’s just perfect for her. Me: Sorry Mako, the house is not for you. Mako: Maybe I can have the sofa? Me: No Mako, it’s not possible. 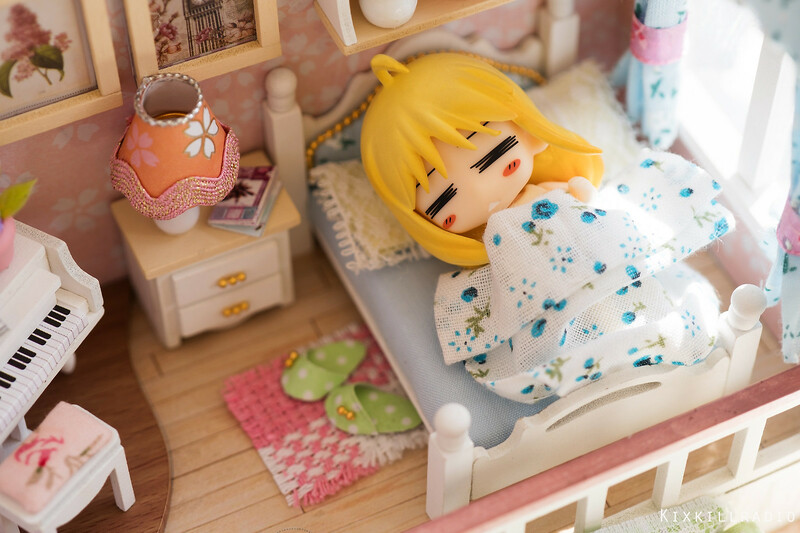 Mako: I feel tired, maybe I can lay down in bed. That’s all for today guys! See you on my next post! Ah yeah it looks good with nendoroid petite, too. The web shop usually includes the measurement of the dollhouse kits they sell. 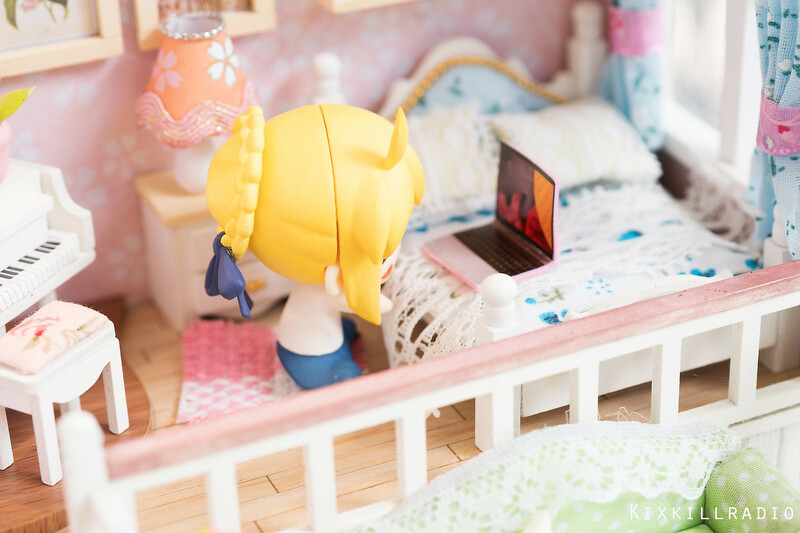 If it’s too small, then it’s not for Nendoroid.